The Save the Mekong Coalition includes members from across the Mekong River Basin. Our work is grounded in the understanding that the Mekong is a shared river, whose life-sustaining resources support millions of people throughout Southeast Asia and substantially contribute to the social and economic well being of the region. 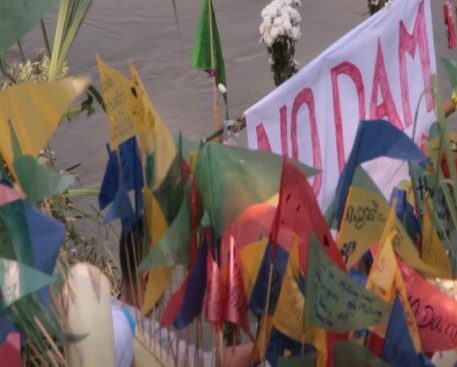 The Save the Mekong Coalition and its members have monitored the decision-making processes for Lower Mekong mainstream dams, including participation in national and regional Prior Consultation meetings for the Xayaburi and Don Sahong Dams. Our experience has led to growing concern over the future of the Mekong River and her people. Decision-making on the Xayaburi and Don Sahong Dams revealed a breakdown of regional cooperation among Lower Mekong countries and failure of the Mekong River Commission (MRC) to provide a meaningful platform for informed and participatory consultations. 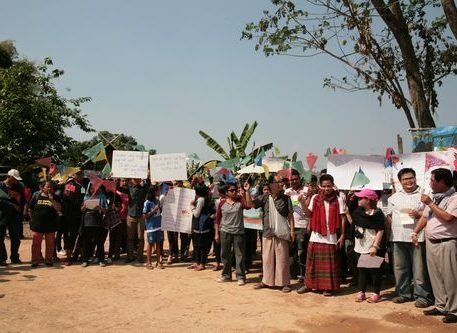 The documented “lessons learned” from implementation of the Prior Consultation for Xayaburi and Don Sahong emphasize the inadequacy of the project documents and studies submitted, and the limited time and space for meaningful public participation, particularly of affected communities . Both processes were characterized by a lack of agreement between Lower Mekong governments. Decisions to move forward with construction disregarded concerns raised by neighboring countries over transboundary impacts, requests for further studies, and opposition from local communities directly and indirectly affected by the projects. For example, the Xayaburi Dam is more than 70% complete, however re-design documents have not been made public, despite repeated requests from MRC Development Partners and the public, limiting the means to independently verify the effectiveness of impact mitigation measures. The findings and recommendations of the SEA were overlooked in decision-making over both the Xayaburi and Don Sahong Dams. We are extremely concerned that decision-making on the Pak Beng Dam – currently undergoing Prior Consultation – is set to follow the same pattern. The Council Study has received significant financial support from international donors to the MRC. While the study has faced considerable delays, it is now scheduled for completion by the end of 2017. The study is important in providing a basin-wide perspective on the impact of major water use sectors on key areas of the Mekong River Basin. As the Council Study enters its final phase, it is imperative that the study prioritizes participation of Mekong communities and CSOs through meaningful consultation and that the findings are shared in a timely and transparent manner. Completion of the Council Study provides an important opportunity for Mekong governments to ensure informed decisions on hydropower development in the Mekong Basin. Decisions over projects that will impact the river must be shared by all countries and informed by basin-wide studies. Mekong leaders, the MRC and donor governments have the opportunity to utilize the Council Study to enable more informed and balanced decision-making over the development of hydropower on the Mekong River. Ensure that the study’s findings on the cumulative impacts of hydropower projects – existing, planned and under construction – inform decision-making on the Pak Beng Dam along with future projects proposed on the Mekong River. No information regarding resolution to the Prior Consultation process for the Don Sahong Dam has been publicly released. 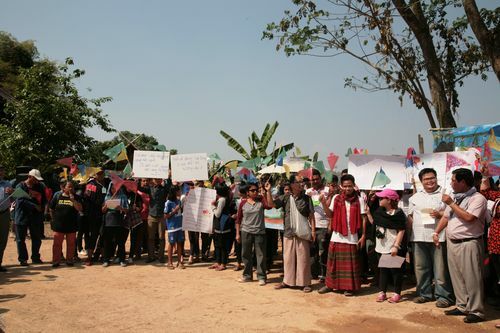 Furthermore since construction on the Don Sahong Dam began there has been limited information shared publicly regarding new studies or updates to existing studies requested by neighboring governments through the Prior Consultation process. On 14 March 2017, the International Day of Action for Rivers, we, the Save the Mekong Coalition along with civil society and community partners from Thailand, Cambodia and Vietnam, make this statement to express our gratitude to the Mekong River and the way of life she supports. The Mekong is our mother river, home to unique biodiversity and a lifeline for millions of people throughout the river basin. We recognize the efforts of Mekong communities who are working to protect and preserve the unique ecosystems and resources of the river for future generations. We are extremely concerned by large-scale developments, which ignore knowledge, cultures, and voices of the women and men in the Mekong Basin whose lives and beliefs are inherently intertwined with the Mekong River. Planning and decision-making over hydropower and other developments on the Mekong River have lacked public participation, transparency and accountability. Rivers are essential in sustaininghuman existence globally, and yet, everywhere, freshwater systems are being destroyed and degraded. With climate change and increasing water scarcity, it is more important than ever to protect these vital resources and the biodiversity, natural systems and way of life they support. On this day around the world hundreds of communities are joining together to take action for their rivers. We stand in solidarity with communities along the Mekong River. We re-affirm our commitment to work together across the basin, prioritizing the voices of Mekong communities in decision-making over the future of the Mekong River for current and future generations. Declaration in Thai, Khmer and Vietnamese versions. 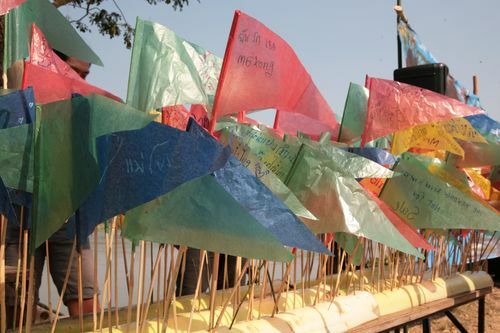 Flags with love and wishes for the Mekong to be released on bamboo boots. The Mekong River supports one of the world’s most productive inland fisheries, which feeds over sixty million people. Official estimates put its value at more than US$3 billion annually. Yet, even this staggering figure understates the true value, as fisheries are also central to peoples’ nutrition and food security. Experience around the world points to the fact there is no way of mitigating such large dams’ impacts on fisheries. Save the Mekong is working to redesign the website at the moment. We will try to be back again soon with better information arrangement and resources for your interests.